There are plenty of publications out there on how to build a successful marriage, but what about going through a successful divorce? Given that 40 to 50 percent of all marriages end in divorce today, it is something that a number of people need guidance on each year. When it comes to telling family members, friends, and other loved ones, being direct and unapologetic about your situation is the best route to take. If you have a significant amount of anxiety about doing this in-person, one way to ease some of that anxiety might be to write to them beforehand, giving them a heads up that you have some difficult news to share. During this process, also do not feel obligated to provide lengthy explanations—or rather, any explanation whatsoever. This is your life, and your choice, and you do not owe anyone any details. If you find yourself in a situation where you are receiving unwanted advice, it is best to just thank the person and let them know that you have things handled. One thing that we also tell clients is that they should be prepared for their ex to potentially become somewhat hostile during the divorce process. Some people even call it “flipping a switch,” while others have described seeing their loved one become uncharacteristically competitive. This can be especially difficult if the two people share children together, and there are concerns that the hostile parent could poison the children against the other parent. Make sure that you are not only emotionally prepared for the worst here, but that you have a divorce attorney who you trust on-hand to work with if you do find that your ex is attempting to get your children involved emotionally, as this is something that is directly relevant to child custody proceedings and determining what is in the best interests of the child. While the courts favor parents splitting the job of parenting, it is also important to be honest about what is in the best interests of the children. In doing so, parents have to take finances, geography, the child’s temperament, needs, and other relevant factors into account in deciding on a realistic custody arrangement. And it goes without saying that children should never be brought into the fray. During this process, make sure that you take care of yourself and ensure that you are getting what you need emotionally and otherwise. Do not hesitate to ask your loved ones for help and support—chances are they are looking for ways that they can help anyway. And if this is difficult for you or does not provide you with the emotional support that you need, you may want to seek out assistance from a divorce support community, specifically. As experienced divorce lawyers who have served countless clients in Florida, we know just how many unexpected surprises often come your way during divorce. 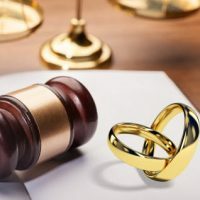 Our supportive, knowledgeable Orlando divorce attorneys are here to ensure that this next step in your life is as painless as possible, and that you are secure in your future. Contact us today at the Arwani Law Firm, PLLC to find out more about our services.